The NRA National High Power Championships has commenced at Camp Perry. Among the early events was the M1A Match. Relatively new, the M1A match was organized in 2007 by the NRA and Springfield Armory to encourage use of the M1A, an M14 derivative that was the weapon of choice for rifle competition for a number of years. With competitors lured by substantial cash prizes plus Springfield Armory gun give-aways, the M1A Match has proved hugely popular, attracting hundreds of shooters, including many of the nation’s top marksmen. Any configuration of the M1A is allowed in the Match, with the course of fire being 50 shots at 300 yards on the MR-65F as follows: 5 sighters; 20 shots slow-fire, prone; 10 shots rapid-fire, prone; 10 shots rapid-fire, kneeling or sitting; 10 shots slow-fire, standing. Winner of the 2009 M1A Match was Thomas Rider, whose 484-15x score beat runner-up and 1st Place Civilian Nick Till (482-17X) by two points. Rider earned $2000.00 in prize money for his victory. Fritz Hemplemann (478-16x) was second place Civilian, while Creedmoor Sports General Manager Dennis DeMille was third place Civilian (476-21x). Emily Windmassinger of the USMC earned the High Service Award with an impressive 480-20X. In the video below you can see M1A competitors, including DeMille (0:13, 0:30, 0:42 second marks), in the standing stage. CLICK HERE for complete M1A Match Results | This report courtesy the NRABlog.com. 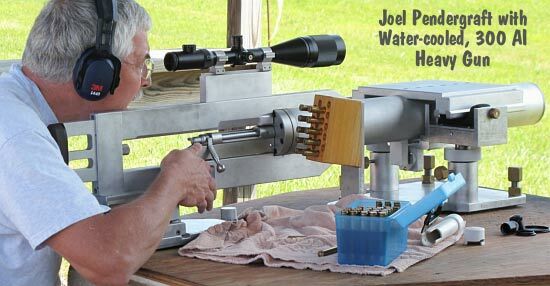 Share the post "NRA National High Power Championships and M1A Match"
The 2009 Williamsport World Open, held in mid-July, enjoyed a record turnout. The club welcomed 164 shooters from nine states all over the eastern half of the country, and from as far away as 1000 miles (Georgia). Even with new rules being applied for 2009, the match ran smoothly and was a great success. The new rules in the Heavy-Gun class, which now allow muzzle brakes and have fewer restrictions, seemed to encourage more shooters to participate in both classes. The few remaining limits prohibit “return to battery guns” and rifle/rest features that obstruct upward or rearward movement. Restrictions were eased in the 17-lb Light Gun class as well. Now there are no limits on stock shape or attachments. This may have also encouraged shooters from other clubs to attend, resulting in the largest field of shooters in World Open history. The weather was not typical for a Williamsport World Open weekend and had its share of very nice and very tough shooting conditions. Saturday was nearly totally overcast with no mirage and moderate temps that topped out at about 74 degrees. Wind was light at times and gusty at times, but definitely more cooperative in the afternoon for the Heavy Gun match. That is rare for a match at Williamsport. It often looked like we were going to get rained on, but it held off just long enough to get the match finished. Sunday was a much more typical Williamsport match day. It was sunny and topped out in the low 80s with a few passing clouds and low humidity. Mirage conditions were much worse than Saturday but did settle down for the last few relays of the day. The wind was a bit trickier on Sunday and hit some relays pretty hard. The 17-lb Light Gun (LG) class had 153 shooters, while the Heavy Gun (HG) class had 147. Of those shooters, we had 13 women and 5 juniors. 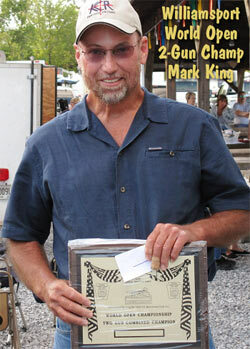 Pennsylvania Gunsmith Mark King shot great to earn “Top Gun” honors as the 2009 World Open Two-Gun Combined Champion. Mark shot a 6mm Dasher in both classes. Kathy Salt won the HG Overall, while Tilden Kuhns won the LG Overall. Matt Dienes finished first in HG Group, while Joe Salt topped HG Score. In LG, Paul Chackan won Group and Tilden Kuhns had the best overall Score. Even though there were some nice conditions at times, only two perfect ‘100’ scores were fired all weekend: Dan Stonebraker did it with a 6.5-284 in LG and Ed Nazy nailed a ‘100’ in HG class. The ten shots that scored Nazy’s 100 pointer also proved to be the smallest HG group at 4.355 inches. The smallest group in LG class, measuring 4.803 inches, was fired by Lacy Baney with a straight 6mmBR. Even with the weather, 6mm chamberings accounted for the smallest LG groups. The top 10 LG scores were also dominated by 6mms, with a 30 Cal and 6.5 Cal thrown in. The big 30 Cals produced most of the smallest HG groups and top HG scores, with a couple 6mms and a 6.5mms in the mix. Mark King, the Two-Gun Overall Champion, won “all the marbles” shooting the small 6mm Dasher in both LG and HG. 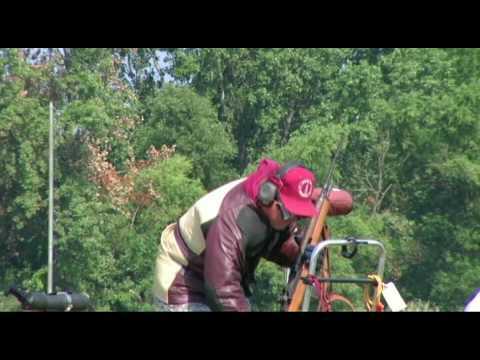 Share the post "Williamsport 2009 World Open Wrap-Up"
Respected shooting sports journalist Jim Shepherd and Gun Talk Radio host Tom Gresham have teamed up to produce a new show, Guns & Gear, for the Versus Country cable network. 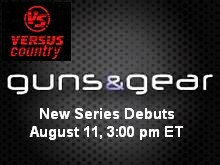 Guns & Gear premieres Tuesday, August 11, 2009 at 3:00 pm Eastern time on Versus. The first episode, which focuses on hunting with AR-platform rifles, will feature new products from from Kimber, Nosler, Springfield Armory, Smith & Wesson and Olympic Arms. Every Guns & Gear episode will cover interesting and innovative new shooting products, showcased via range sessions and real-world field tests, combined with in-studio interviews with product engineers. Celebrity host Tom Gresham promises to deliver the “inside scoop” on the latest and most interesting gear for target shooters and hunters. Share the post "New 'Guns & Gear' TV Show Debuts on Versus Network"